DrDesaiSoap provides useful information for our customers on a wide variety of skin care and natural ingredients. These are for informational purposes and are not intended as medical advice. Please consult your physician for all medical matters. Put on your overalls and join N.J. Audubon and Desai Farms of Tewksbury for a fun, old-fashioned day down on the farm. The event will be held June 23, 10 a.m. to 2 p.m. at N.J. Audubon Scherman Hoffman Wildlife Sanctuary, 11 Hardscrabble Road, Bernardsville. 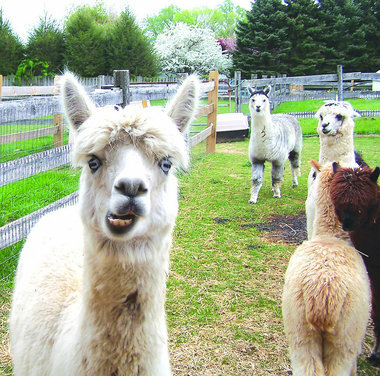 Desai Farms will bring their alpaca, miniature horse, and goats. It will offer goat milking demonstrations throughout the day, and visitors can try it as well as carding wool, spinning and weaving. Learn from Dr. Desai about the benefits of Dr. Desai Soap made from goat milk. It will be available for sale. For the past five years, Desai Farms has been a “green” farm, producing the majority of its energy needs through solar power. It produces goat milk soaps and alpaca wool winter apparel from their livestock. The cost is $5 per car, but in the spirit of our “green” organizations, the cost is free for those arriving in “green” transportation — an alternative car (hybrid car, smart car, electric car, etc. ), by people power (bicycle, roller blades, on foot, etc. ), or by carpooling (in any type of car with four or more passengers).